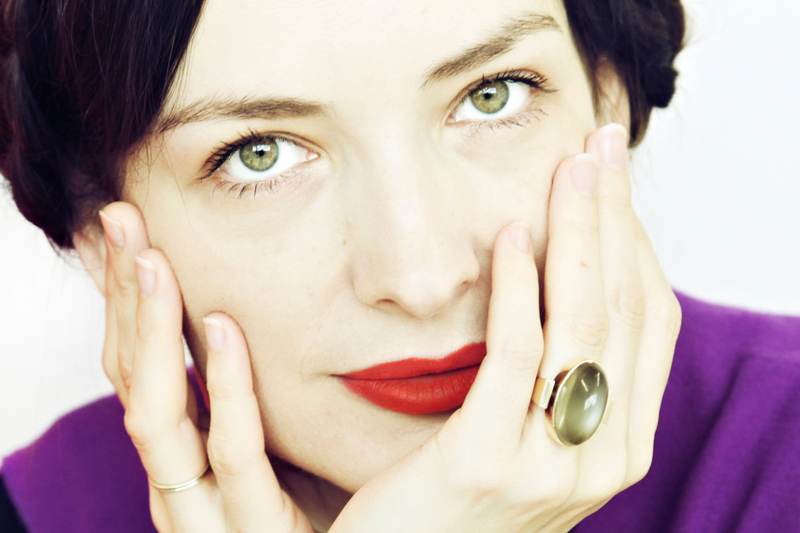 Serbian-born Roksanda Ilincic is a tangle of opposites. On the one hand, she speaks softly, with a lyrical inflection and a graceful charm that would naturally suggest a shyness that I quickly discover doesn’t exist. As she speaks, slowly unfurling her ideas, this softness proves to be filled with a discreet resolve. Roksanda – founder of the self-named womenswear brand – is a carefully spoken character; the importance of what she shares lies not simply with what’s said, but with how it’s told. Thanks to her Balkan heritage and schooling on foreign soil, Ilincic is well placed to take part in the conversation surrounding the fashion industry’s involvement in a larger social narrative. She’s a Central Saint Martins alumna, from the same school as designers Christopher Kane, Jonathan Saunders and the late Richard Nicoll, who each arrived into fashion’s cumulative consciousness in the mid-2000s. The Belgrade native came to London for formal design training after finding herself drawn to the late Louise Wilson, head of the venerable British institution’s MA fashion course. Ilincic pulls no punches as to the reason she came; it was Wilson herself who drew her. Since first unveiling her namesake label (and immediately capturing the hearts – and purse strings – of her ever-faithful fans), Ilincic – who was recently in Hong Kong supporting the UK’s Great Festival of Innovation – has carved out a niche within the market, centred on her extraordinary confidence with colour and mixing palettes. Across the seasons, unapologetic block shades sit as the cornerstone of many collections, singing with positivity and power. And yet, it wasn’t always Ilincic’s plan to follow the rainbow. “When I came to London I was rebelling against my culture, against my heritage, in a way. It was funny, I did this 360, of not wanting to do something and then doing exactly that. And it’s something I slowly developed while studying with Louise, and I realised that being from Serbia was my point of difference. You’re trying to find your own language, something that is just you and nobody else. Culture is an unavoidable and prominent part of our current global conversation, latching on to every industry and demanding attention be paid to all those who have in the past, and who continue to be, sidelined or judged, robbed of ideas and overlooked for credit where due. Many an industry behemoth has found itself on the wrong side of the ethical (and business) argument, even now. It’s an ironic twist that in an industry often seen as being dominated by women, and so, by default, assumed by many to be free of sexism, there remains such a disconnect. Many small brands are owned or operated by a handful of mega corporations helmed by (older, white) men. Even those labels that aren’t, find their bottom line impacted by decision-makers who have been ingrained to consider a designer’s own appearance as in some way relevant to the designs they create and the market they’re covering. When it comes to our reflections, however, it’s the creative side of the label more than the height of its founder that interests us. It’s perhaps no surprise that strong silhouettes have dominated throughout the years (Ilincic trained as an architect in Belgrade) with nipped waists, generous shoulder lines and full sleeves and skirts providing a consistent soundtrack to contemporary seasonal collections. Then there’s that rush of colour, a combination of mellow shades alongside riotous rainbows of mixed-up tones – assertive and elegant.